Summary: Tales of Vesperia Definitive Edition continues the winning streak of ports for the Nintendo Switch. Remakes, remasters and ports are all the rage right now and it’s not hard to see why. Resident Evil 2 brought one of the 90s scariest games roaring in to the present day with updated gameplay. Final Fantasy X/X-2 Remaster provided an HD upgrade to the graphics and a newly revamped soundtrack to a timeless classic. Stardew Valley is still growing in popularity as its charming world is brought to countless new platforms. The Nintendo Switch benefits from this above its more robust competitors. The Switch will never offer the raw power that the Playstation 4 and Xbox One possess. But its ability to be played on the TV and on the go makes it perfect for revisiting old favorites, or classics that you never got around to the first time. 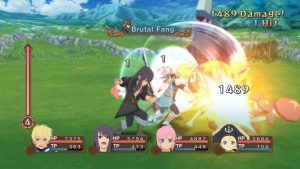 Tales of Vesperia: Definitive Edition is the latest port to hit the Switch, and another great addition to its increasing library of JRPG’s. Tales of Vesperia was first released in 2009 for the Xbox 360. Japan’s general lack of interest in the Xbox led to a very good batch of JRPG’s that went sadly overlooked. 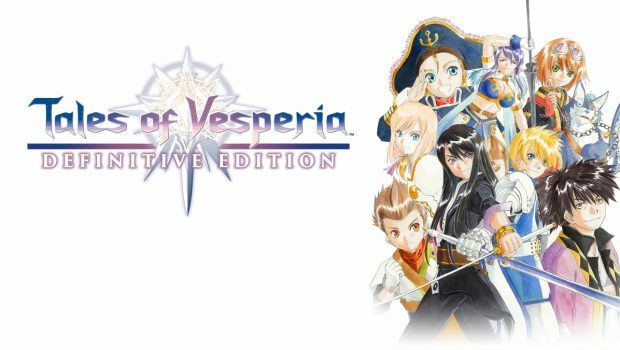 Tales of Vesperia escaped this fate by eventually being ported over to the PS3 with additional content. 10 years later the PS3 version has arrived on the Switch, complete with the additional content, a graphical upgrade and plenty of upgrades to the original games voice acting. Despite its age, it still mostly holds up as a great Tales game and a great JRPG experience. The story centres on Yuri Lowell. Yuri once was an imperial knight, but turned his back on them when he saw how the Empire he served treated its less well-off citizens. The world Yuri inhabits runs on various forms of Blastias, an energy source that provides everything from power to protection from monsters. When a thief makes off with an important Blastia, Yuri sets out to track them down and return it, which eventually leads to a globetrotting adventure that becomes much bigger than he ever assumed. The story is fairly standard stuff for the genre and you will have to get used to the fact the word Blastia will be said almost every second sentence. The story really shines due to its characters and their relationships. 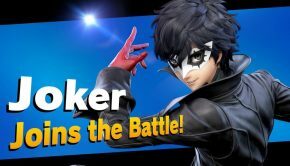 Yuri is a fully formed protagonist that keep him from becoming the overly brooding or annoyingly chirpy trope that many JRPG characters become. He makes wise cracks, fights for what is right and occasionally makes tough decisions. The other characters are similar. They start with a fairly stock standard character type such as the sheltered princess or annoying kid, and gradually shade them in until they become intriguing and nuanced. Special mention should be given to the kid characters Karol and Rita. In lesser hands these two would have become unbearable very quickly, but in Tales of Vesperia they grow throughout the game and both get moments to shine. The Definitive Edition also adds two new playable characters. The steadfast Knight Flynn is now available as a party member and the previously PS3 exclusive Patty also makes her way into the story. Both characters fit in seamlessly and provide a few new hours of extra content. It also helps that Patty’s design is pure JRPG zaniness. A little girl dressed like a pirate that talks like an old woman but is also a dab hand with a pistol? Sign me up. There’s also a dog that smokes a pipe and wields a knife, which is just cool. 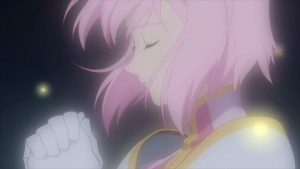 The bulk of the character development is done in one of the Tales series defining aspects, the skit. While paying the game a prompt will appear to press a button and a short dialogue driven scene will occur where the characters discuss a wide range of topics. Sometimes they’ll add shading to the main plot, sometimes they will reveal new facets of the characters and sometimes they will just be humorous diversions. They are optional but for the full experience I highly recommend watching and enjoying each one. They’re never too lengthy either, which is something this genre has been known to struggle with. Playing Tales of Vesperia for the most part feels like playing any other JRPG. The party explores a world map fraught with enemy encounters, they explore towns, get to know NPC’s, buy upgrades at stores, rest in Inn’s and navigate dungeons full of treasure and treachery. It’s all pretty standard stuff that to its credit never feels like too much of a chore. 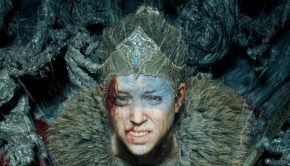 There are a couple of moments where it shows its age, no game should ever make you backtrack through dungeons complete with enemy encounters once completed. The combat is where the real meat of the game is. 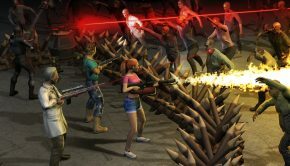 Combat takes place in real time and gradually guides players through the numerous skills you need to progress through the game. There are a couple of needless difficulty spikes, but mostly it feels like the battle system grows as you progress through the game. 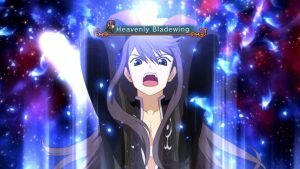 Artes are the skill moves in Tales of Vesperia and they become more powerful and elaborate the higher you level your characters. Artes are assigned to the left and right thumb stick and can be updated throughout the game. I found the Artes assigned to the right stick to be much fiddlier to control due to their proximity to the other buttons, but the Artes on the left stick are much easier to manage. It’s easy to get to grips with yet reveals a lot of hidden depth. Your AI companions are also quite smart; they don’t often run headlong in to death or waste their skills on useless endeavours. The cartoony cel-shaded style graphics have definitely aged well. The characters and combat all look great with the graphical upgrade. Some of the environments have suffered due to the passing years but for the most part you would have no idea that Tales of Vesperia was released in 2009. The added voice acting is also most welcome and helps flesh the game out. It does get annoying to hear the battle cries over and over but eventually it just becomes part of the background. The soundtrack is also charming without being mindblowing. In particular, the town music is catchy in a low key way. 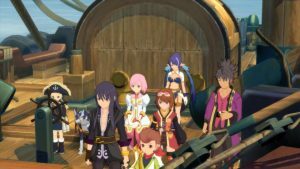 The Nintendo Switch is fast becoming the definitive JRPG console of its generation, and Tales of Vesperia stands tall among its best games. The combat is fast paced and fun, there is plenty to see and do and the cast of characters are a joy to be around. 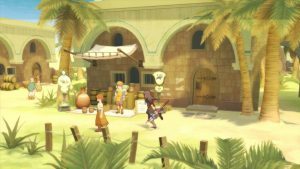 If future ports and remasters are as delightful to experience as Tales of Vesperia, there is a lot to look forward to in the future of the Switch.